Following an April 2015 dry dock, the 3,114-guest Explorer of the Seas will cruise from Southampton, UK until the fall, when she will reposition to Australia. Among the destinations one can visit while on a cruise on this ship are the Bahamas, Bermuda, Canada & New England and the Caribbean. There are many bars and lounges on board Explorer of the Seas. 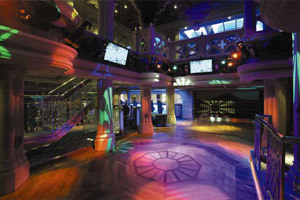 Among them are The Chamber, the ship's lively two-level night club that features music and dancing late into the night. Other venues include the Viking Crown Lounge and Boleros (both which are signature features of many Royal Caribbean cruise ships), the newly added R-bar, as well as a traditional pub and sports bar. 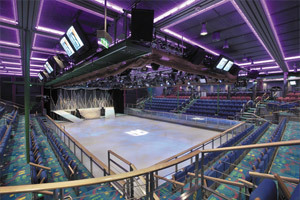 Among the many entertainment venues and things to do on an Explorer of the Seas cruise are Studio B, home of the ship's ice-skating rink (where guests can enjoy themselves, and where professional shows occur during the cruise), a rock-climbing wall, a few swimming pools and whirlpools, a full-service spa and fitness center, a 9-hole miniature golf course, an internet cafe, a three-level theater (that features a variety of live shows, such as Broadway-style production shows), a large casino, as well as a teen disco and Royal Caribbean's fabulous Adventure Ocean® youth facilities. Latest additions also include the Flowrider surf simulator, and an outdoor movie screen located over the main pool. 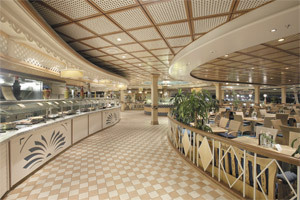 Not surprisingly, there are many dining venues on board Explorer of the Seas. 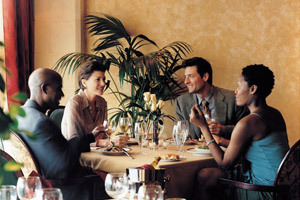 Among them are the main dining rooms, an Italian specialty restaurant, Johnny Rockets, Chops Grille, Giovanni's Table, Izumi (specializing in asian cuisine) the Windjammer Café (featuring casual buffet-style meals for breakfast and lunch, and restaurant-style service for dinner), and room service. Latest additions also include an updated Vintages wine bar, digital signage, pervasive Wi-Fi, flat-screen TVs, a nursery, Concierge Club, and Diamond Lounge. Guests will now also be able to stay in the latest stateroom innovation in the Royal Caribbean fleet, virtual balconies! Open 24-hours, this is the heart of Explorer of the Seas. It's a large downtown-style strip of stores, bars and lounges. Some of the venues located in the Royal Promenade are a pub, a Tommy Hilfiger store, a perfume shop, Ben & Jerry's, Café Promenade, a sports bar, champagne bar and general store. 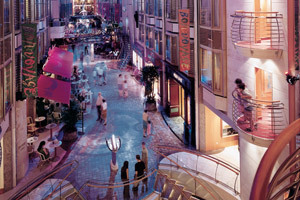 During your cruise there are usually a few performances in this area of the ship, such as lively street dance parties. 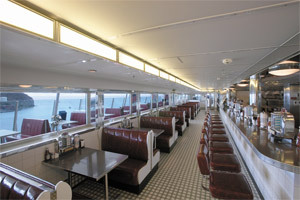 This is a 50's-style restaurant, featuring classic food such as hamburgers, chili fries and milk shakes. There is a per person charge for anyone that would like to eat at this optional venue. 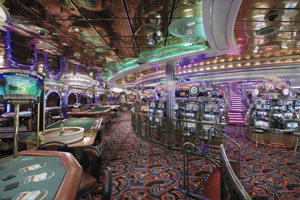 If you're feeling lucky while on an Explorer of the Seas cruise, consider checking out the ship's large casino. Among the games available there are Blackjack, Caribbean Stud Poker, Craps, Roulette, Video Poker and a variety of slot machines. 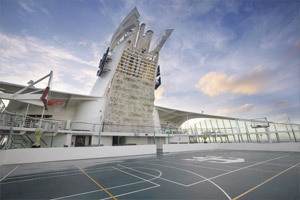 Throughout the cruise, there are also typically a few tournaments (usually including Blackjack and Texas Hold'em). Portofino is the optional specialty restaurant on board Explorer of the Seas. This upscale Italian restaurant has a wonderful multi-course menu and a very nice wine list. There is a per person cover charge to dine at this venue, and reservations are recommended. 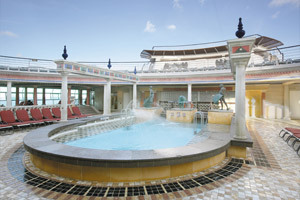 Low Price Guarantee on all Explorer of the Seas Cruises! Book any Royal Caribbean cruise with us and you'll get the best deal possible, regardless of the ship or sail date! Because of our "Low Price Guarantee," nobody beats our Explorer of the Seas cruise prices, so look around and you're sure to find the best Explorer of the Seas cruise deal possible when booking with us! Pre-Paid Gratuities on Explorer of the Seas Cruises! Explorer of the Seas Onboard Credit Sale! Get an Onboard Credit when you book a Explorer of the Seas cruise with us. The value of the Onboard Credit depends on the particular cruise and accommodations you book. Onboard Credit values are listed on Step 3 of the online booking process. We do not charge booking fees on any cruises! 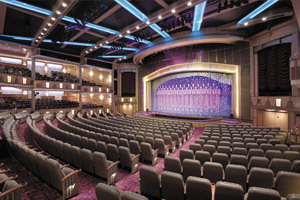 You're sure to enjoy an affordable Explorer of the Seas cruise when booking with us! Our special offers on Explorer of the Seas cruises may not be combinable. Certain restrictions apply to each offer. View terms and conditions during the online booking process. Click a price below to view the Explorer of the Seas cruises during that month in that destination. Deck plans provided are subject to change, and are for May 15, 2015 and October 8, 2016. We reserve the right to correct errors. Please verify all information with the cruise line directly.